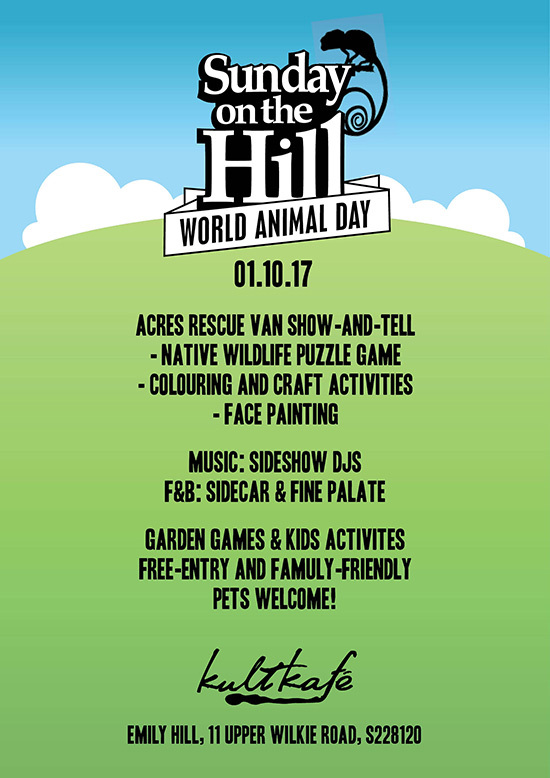 World Animal Day is 4 October, so this Sunday we are teaming up with the good people at ACRES Wildlife Rescue for a special rescue van show-and-tell and activities for kids including a native wildlife puzzle game, colouring and craft activities, and facepainting (all by donation). Come learn more about native wildlife while supporting their great work! We’ll have all the usual garden games for young and old alike, food by Sidecar and Fine Palate, great drinks from the Kult Kafe bar and music by the Sideshow DJs. Bring the crew, bring the kids, bring the dog and we’ll see you on the hill!